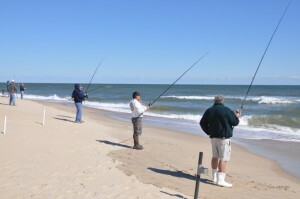 The best surf fishing teams on the East Coast are heading into the breakers on Hatteras Island the morning of November 3rd to kick start the 54th Annual Cape Hatteras Angler’s Club Invitational Surf Fishing Tournament. With 120 teams, this is the premier surf fishing tournament in the United States, and Surf or Sound Realty is proud to be a sponsor! Action continues around Buxton through Friday afternoon. The individual angler Bob Bernard Individual Surf Fishing Tournament is happening Saturday. 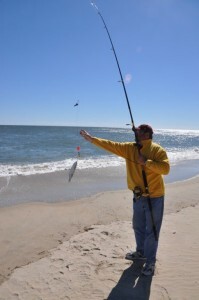 Anglers compete for points based on catches of various species that meet minimum points requirements. Fish bigger than the minimums earn extra points. 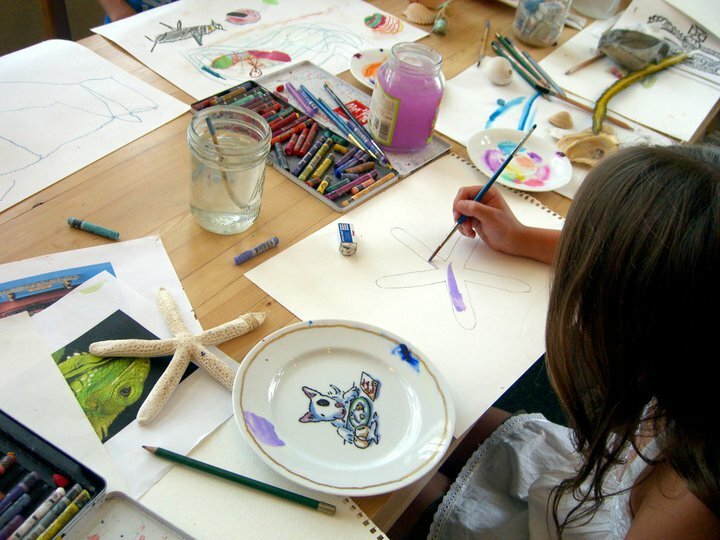 For a schedule of events, click here. 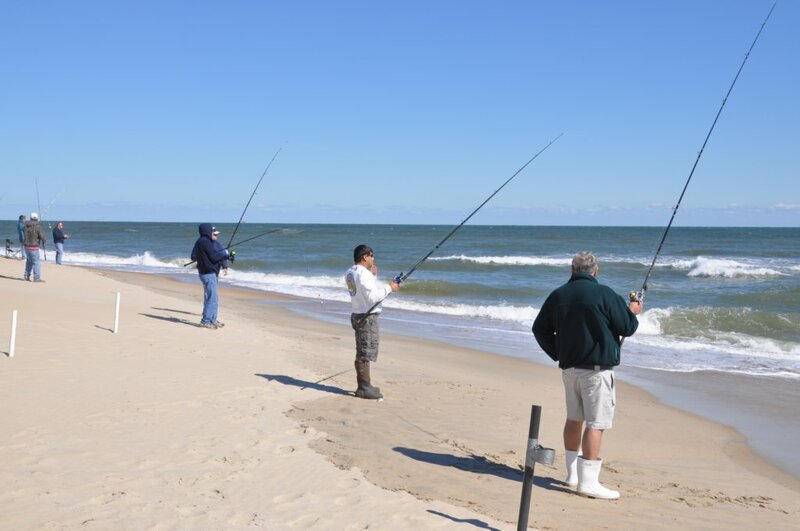 From your friends at Surf or Sound Realty – best of luck to all of the anglers participating in the event! Surf or Sound Realty is a proud sponsor of the 26th Annual Capital City Four Wheelers Surf Fishing Tournament. 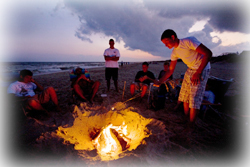 The event is taking place in Cape Hatteras October 15th and 16th. Capital City Four Wheelers, or CCFW, is a family-oriented four wheel drive club in the Richmond, Virginia area that formed in 1983. 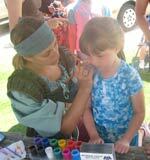 They hold a number of activities each year. 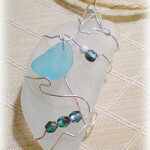 One of their main events is their Surf Fishing Tournament, which they hold in Cape Hatteras, NC during October. It is a fund-raiser event that lets them give back to the community. Anglers will compete for prize monies in the following categories: Red Drum, Blue Fish, Trout, Flounder, Sea Mullet, Croaker and Spot. Anglers may only win in one category. A prize will also be awarded to the child (12 and under) who catches and weighs in with a CCFW official, the largest fish by weight. A trash pickup contest will also be held. 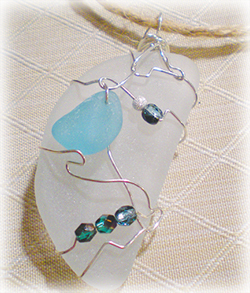 Every year CCFW asks fishermen and their families to help keep the beaches clean and free from man-made waste. CCFW sponsors a contest where you can win a prize by gathering beach trash in a garbage bag and bringing it to the Trash Station at Ramp 44 or Ramp 34 from 1 p.m. to 4 p.m. on Saturday, October 15. Turn in trash, get a ticket! The winning ticket will be drawn at the weigh-in on Sunday, October 16. Besides the Trash Pickup Contest, there will be a raffle for a custom rod and reel combo to benefit a local Hatteras Island charity. Tickets will be sold during the morning meetings Saturday and Sunday, with the winner to be drawn during the Sunday meeting. Participants will meet at the Fessenden Center in Buxton at 8:00 a.m. on Saturday, and 9:00 a.m. on Sunday. There will be a total of 600 participants. CCFW will allow late registration on a first come, first served basis in the Fessenden Center for anyone wishing to enter the tournament. For more information log onto http://capitalcityfourwheelersrva.com or email Tournamnet@capitalcityfourwheelersrva.com. 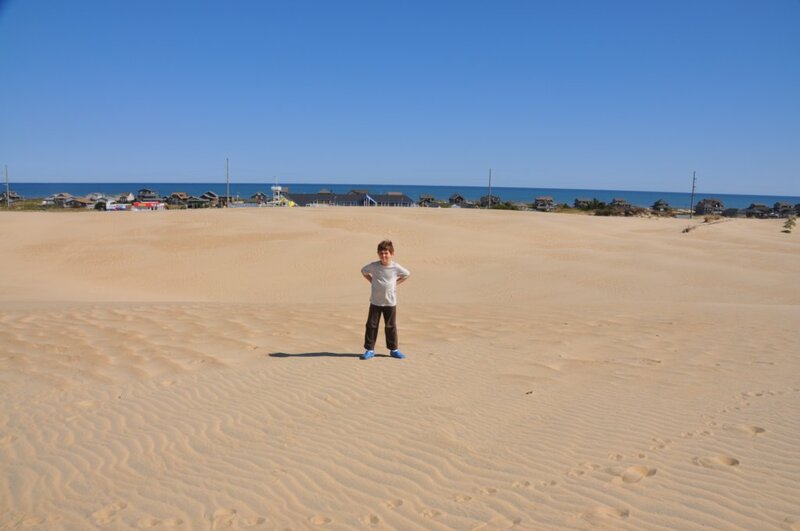 Good luck from your Hatteras Island friends at Surf or Sound Realty! **All photos are via davidaherron.com from the 2010 tournament. The Dare County Control Group has ordered a mandatory evacuation for all visitors throughout all of Dare County effective 8:00 a.m., Thursday, August 25. Although the mandatory evacuation order is for all Dare County visitors, residents are advised to take proper precautions and make general storm preparations. This effort should include securing all loose items outdoors. Monitor local news outlets for further advisories from the National Weather Service and state and local emergency management officials. The Dare County Control Group will meet again on Thursday, August 25 after the 5:00 p.m. storm advisory has been issued by the National Hurricane Center. Further evacuations should be anticipated as Irene moves closer to the Outer Banks. At this time there are no new reentry stickers being issued. The previously issued stickers, for 2008/2009, are still valid. Residents can also use a North Carolina driver’s license showing a Dare County address. Property owners may use a Dare County tax bill with proper identification for reentry. 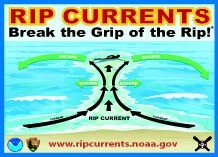 A high rip current risk remains in effect, through Thursday evening, south of Rodanthe, NC. All NPS Campgrounds, Ocracoke, Frisco, Cape Point and Oregon Inlet, closed at noon today and the reservation system has been temporarily suspended. The Silver Lake Marina NPS docks closed at noon today and the Ocracoke Visitor Center, Hatteras Island, Bodie Island and Wright Brothers and Fort Raleigh Visitor Centers will remain open until close of business today and then will remain closed until further notice. 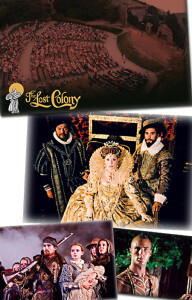 Previously scheduled evening programs for August 24 are cancelled. Lifeguard beach operations at Ocracoke, Buxton, and Coquina Beach closed at 5:00 p.m. today until further notice. 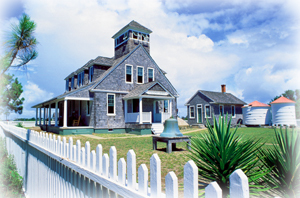 The Cape Hatteras Lighthouse closed at 6:00 p.m. today until further notice. All park special programs scheduled for Founder’s Day, Thursday, August 25th, have been cancelled. Regularly scheduled Fall Interpretive programming will resume after the storm passes the area. 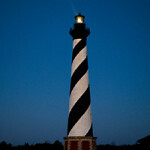 The Flags Over Hatteras event, scheduled for August 25-28, has been postponed until further notice. Ocracoke beaches are closed to off-road vehicles and all other beaches in the National Seashore will close to off-road vehicles by 6:00 p.m. on Thursday, August 25th. Dare County garbage pickup will be done on a regular basis through Friday, August 26. The Town of Nags Head will collect ALL residential trash on Friday, August 26. There will be will no residential or commercial trash collection on Saturday, August 27. The recycling trailers located at Nags Head Town Hall and at the Huron Street public beach access will be not be available until after Hurricane Irene has passed. All commercial recycling is suspended until after the storm. 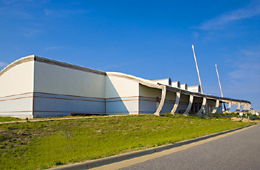 The bulk item/brush drop off yard located across from Nags Head Public Works will be closed Saturday, August 27. Updates and bulletins will be issued on an as needed basis and will be available on www.darenc.com and Government Access Channel 20. The Dare County Control Group has activated the Joint Information Section (JIS) in preparation for Hurricane Irene. All information regarding local government agencies in Dare County will be released through this source effective today. Dare County Emergency Management is closely monitoring reports from the National Hurricane Center and plans are in place to handle whatever contingency may arise. Residents and visitors are encouraged to monitor local news outlets for further advisories from the National Weather Service and state and local emergency management officials. The Dare County Control Group will meet later today, after the 5:00 p.m. storm advisory has been issued by the National Hurricane Center, to further assess the situation and take whatever action is necessary to assure public safety. Although Hyde County has issued an evacuation order for Ocracoke, there have been no evacuation orders issued, at this time, for any portion of Dare County. Residents and visitors should now be making general storm preparations. This effort should include securing property and making contingency plans for evacuation, in the event an evacuation is ordered. Predetermining a destination is recommended. If an evacuation is ordered, consider calling ahead to make arrangements. During storm events, there are no emergency shelters operated in Dare County. North Carolina Emergency Management will operate shelters elsewhere and information will be announced later as it is made available. The Ferry Division of NCDOT is assisting with the evacuation of Ocracoke Island running regular departure times from Ocracoke to Hatteras on a first-come, first-serve basis. All other ferry routes will continue to operate normal schedules until such time as they are required to tie up vessels for safety. Rip current hazards are at a high risk in southern portions of Dare County including Hatteras Island. Wind and wave conditions at this time support a dangerous rip current advisory and are life threatening to anyone entering the surf. In anticipation of this weather event, all NPS Campgrounds, Ocracoke, Frisco, Cape Point and Oregon Inlet, will close at noon today. 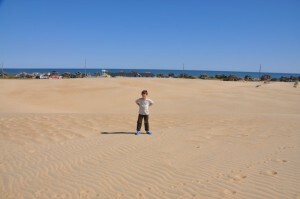 The Ocracoke Campground reservation system has been temporarily suspended. The Silver Lake Marina NPS docks will close at noon today, Wednesday, August 24, 2011. 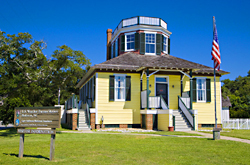 The Ocracoke Visitor Center, Hatteras Island, Bodie Island and Wright Brothers and Fort Raleigh Visitor Centers will remain open until close of business today, Wednesday, August 24, 2011, then will remain closed until further notice. 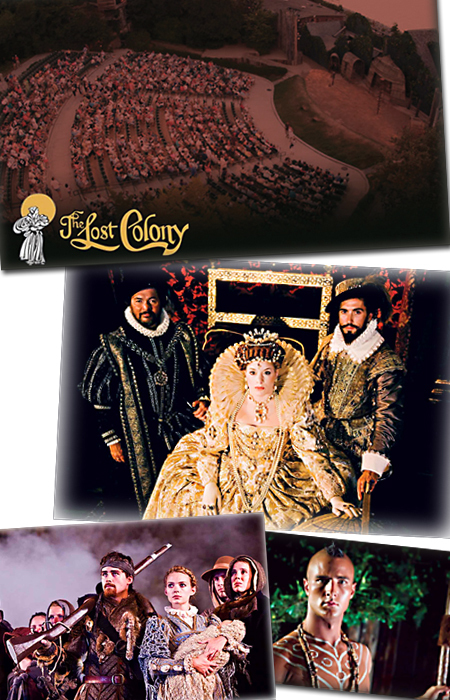 Previously scheduled evening programs for August 24 are cancelled. 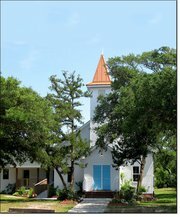 Lifeguard beach operations at Ocracoke, Buxton, and Coquina Beach will close at 5:00 p.m. today, Wednesday, August 24, 2011 until further notice. 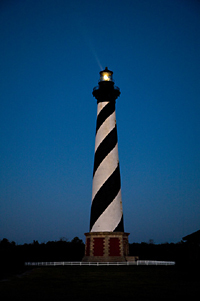 The Cape Hatteras Lighthouse will close at 6:00 p.m. today until further notice. All park special programs scheduled for Founder’s Day, Thursday, August 25th, have been cancelled. Regularly scheduled Fall Interpretive programming will resume after the storm passes the area. Ocracoke beaches will be closed to off-road vehicles by 6:00 p.m. today and all other beaches in the National Seashore will close to off-road vehicles by 6:00 p.m. on Thursday, August 25th. The Town of Duck Emergency Operations Team has met and is preparing for the event. The Town of Nags Head is watching Hurricane Irene closely. At this point, there are no changes to operating hours or Town services. Contractors are reminded by the Dare County Planning Department to secure all loose materials at job sites. 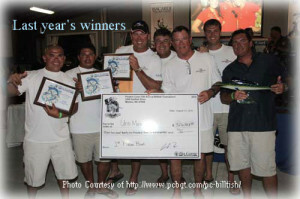 Fishing, fun and friends – that’s what the Pirate’s Cove Billfish Tournament is all about! 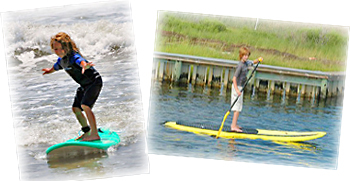 The 28th annual event is set to take place August 15th through August 19th in Manteo. This world class event is shaping up to be another spectacular tournament for anglers! Top prize money is a whopping $850,000 based on 120 entries. A lot of anglers set out with hopes to break the 1,228.5 lb. State Record Blue Marlin caught during the 25th Anniversary of the tournament! The weekend leading up to the tournament is all about the ladies! 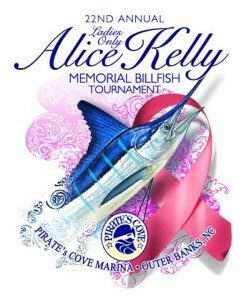 The 22nd Annual Alice Kelly Tournament will be held August 14th. 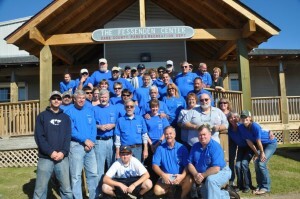 The tournament doubles as a fund raiser for the Outer Banks Support Cancer Group. 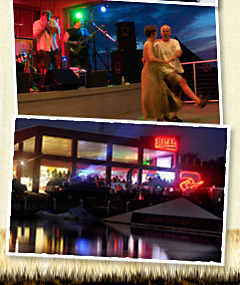 With an entry fee of $500 per boat, it is a great way to have fun and help out our community! The 28th Annual Pirate’s Cove Billfish Tournament will undoubtedly be a week of fishing, entertainment and activities to be shared with friends to create lasting memories on the Outer Banks. 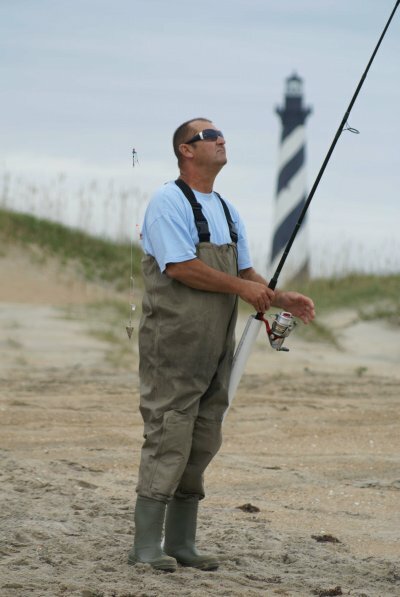 Hatteras Island is home to world class fishing, and Surf or Sound Realty wishes everyone participating in the tournament the best of luck!